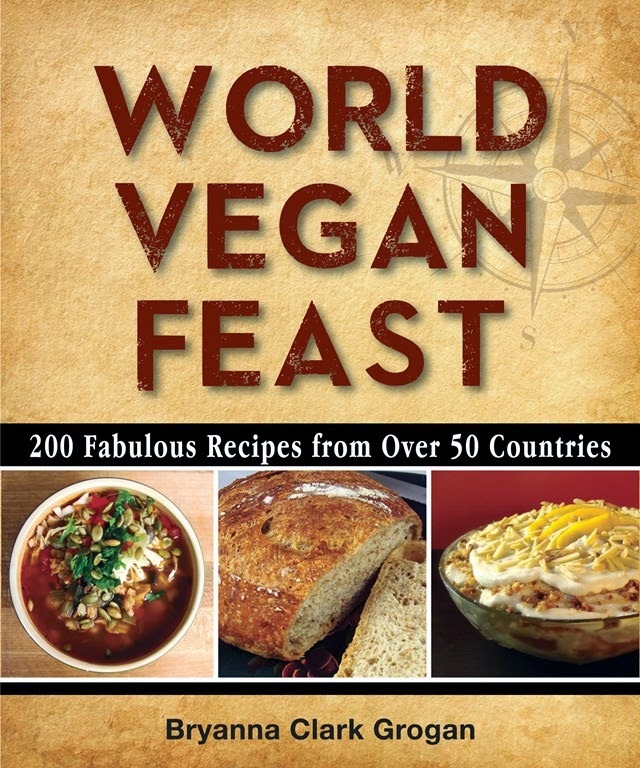 Bryanna Clark Grogan’s Vegan Feast Kitchen/ 21st Century Table: VEGAN LEMON MERINGUE PIE! Alice from Angel Food just told me that they discontinued the meringue mix! Darn! Well, stay tuned-- I'll have to invent something myself. Why another dessert so soon, when we are on the WW Core Food Plan (I have lost 14 lbs and DH has lost 17!)? It was DH's birthday on Thursday (yes, we are both Geminis! 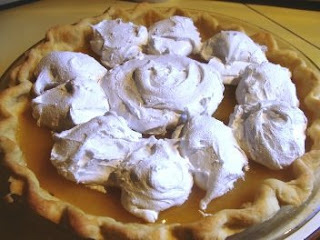 ), and I promised to make him a vegan lemon meringue pie. We had invited two other couples, so I figured one pie would serve the 6 of us with no leftovers-- perfect for a little splurge! I planned to use my low-fat olive oil pastry, and try out the meringue topping made with the Angel Food Vegan Meringue Cookie Mix. The pie was a great hit with our omni guests! 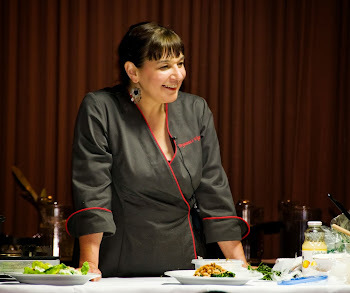 They couldn't figure out how I did it without egg whites! Make this delicious treat the morning of the day you plan to serve it. This recipe has 3 components—crust, filling, and topping. It sounds complicated, but it really is not. Just follow the sequence as I describe it. For the topping, you need a packet of Angel Food Vegan Meringue Cookie Mix. The mix (which comes from NZ) is available online from Angel Food. Theyhave a list of international vendors who sell it, but I don't know how up-to-date-it is because the US and Canadian vendors listed don't seem to carry it anymore. So, contact Alice here if you want updated info. You also need some Instant Clear-Jel (read about it at the end of this blog post). It isn't available on store shelves-- here in Canada I had to get 11 lbs. of it from a bakery supply company (Snowcap), but maybe a bakery would sell you a smaller amount. You can now order it in Canada from the Gourmet Warehouse (Vancouver). In Australia/NZ you can order it from the Angel Food online catalog. This crispy pastry is very easy to handle and quite low in fat (about 1 tsp. of olive oil per serving). Mix the flour and salt in a bowl. Cut in the cold olive oil briefly. Add the water and mix with a fork until it hold together. Handle as little as possible. Lightly form it into a ball and refrigerate, covered, for 30 minutes. On a lightly-floured piece of baking parchment, roll out the dough to fit a 9" pie pan. 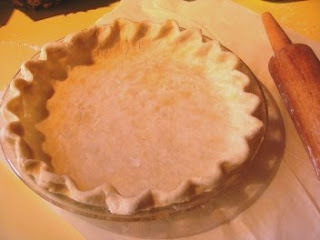 Bring the pastry up to the inside top of the pan and flute it, to make a shallow shell-- not over the edge. Trim the top edge neatly. Prick the bottom and sides with a fork. Place a square of foil or baking parchment over the dough and weight down with a layer of dried beans. Bake 6 minutes. Remove beans and foil and bake 8-10 minutes more, or until it begins to turn golden. Remove from the oven and cool the pastry on a rack. 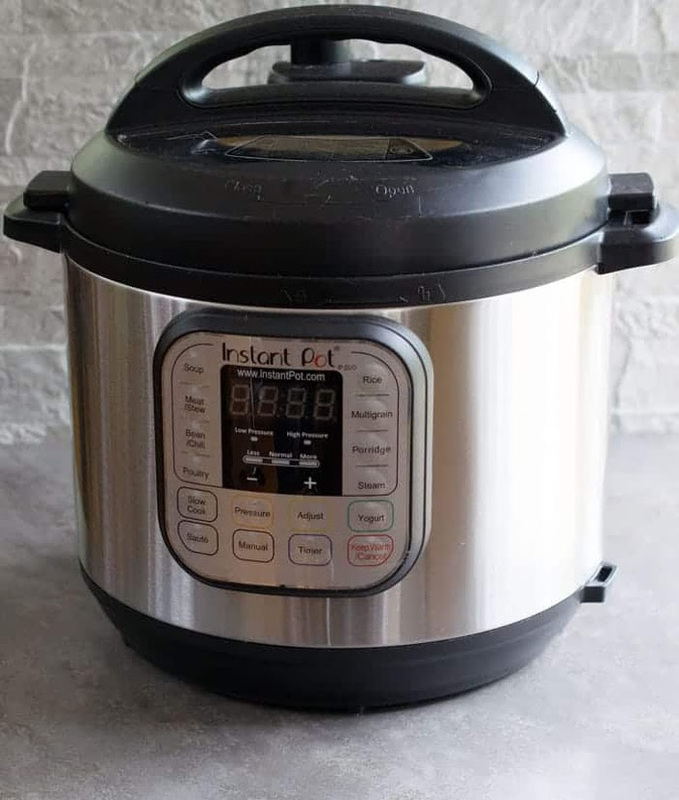 Reduce oven heat to 212°F. Make the Filling while the pastry cools. This filling is tangy and decidedly lemony! Stir constantly until the mixture is thickened and translucent. Cool this for 5 minutes. 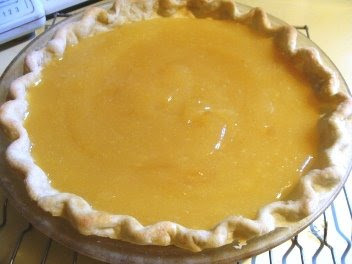 Pour it into the cooled pie shell and smooth the top evenly. Set aside. Have ready a packet of Angel Food Vegan Meringue Cookie Mix (see info about this mix and where to purchase it in text at the beginning of the recipe). Whip for several minutes. Again, scrape the bottom and sides of the bowl to make sure you have incorporated all of the powder and sugar. Whip again for several minutes, until it is really fluffy, and you can’t see any granules in it (scrape the bottom and sides as necessary to make sure all of the Clear-Jel gets mixed in). 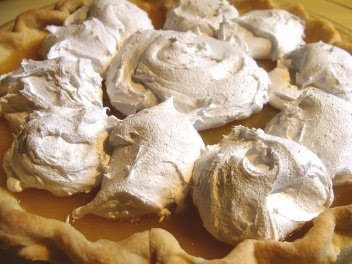 Place spoonfuls of the meringue onto the surface of your pie. The mixture is very thick and sticky. 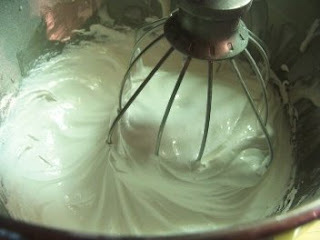 It will spread out a little when baked and the tops of meringue “blobs” will smooth out somewhat, so allow for that. I used 10 spoonfuls around the edge and one larger one in the center. Bake at 100°C (212°-215°F) for about 20 minutes. Cool the pie on a rack and then refrigerate until serving. Serve the same day it is made. Nutrition (per serving): 410.5 calories; 14% calories from fat; 6.8g total fat; 0.0mg cholesterol; 348.8mg sodium; 121.8mg potassium; 86.4g carbohydrates; 1.1g fiber; 61.1g sugar; 85.3g net carbs; 3.1g protein; 8.6 points. 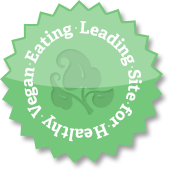 I've never seen vegan meringue before...thanks for blogging about it! Wow! That looks outstanding! I am impressed. Great job. I really love that you add nutrition facts for your recipes. Great Blog! Oh, my husband will love this! I will definitely make this soon! This looks delicious. My family loves lemon. 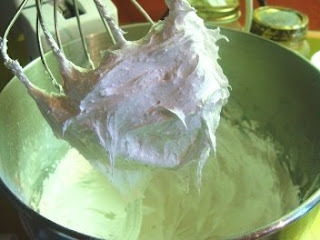 I was thinking of leaving off the meringue topping and serving it with some fresh blueberries. Would I still need to bake it after putting the filling in the crust? Wow!! that seems to be a great recipe. I love vegan lemon mringue pie. I will definitely bake a batch this weekend. thank you for shearing your post. This is a great recipe! Could I use Lieber's Unflavored Jel instead of Instant Clear-Jel? I'm afraid not, Gloria-- it's a totally different product. But look in the blog post and the recipe-- you can order "instant clear-jel" from several places and it keeps for a long time. Tried this filling today. So good <3! I made the lemon filling for a vegan lemon cheesecake, substituting the sugar for agave (1/3 cup agave and only 1/2 cup soymilk, and added 1 tsp vanilla). It was soooo good. My husband licked the pot clean. I am going to try this very soon!